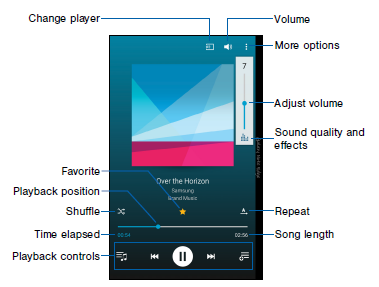 The Samsung Galaxy Note Edge user manual available in english language. It'consist of 139 pages. It's also provided into 5 section. The manual provide detail reference information such as phone layout (front and bck view), tutorial Install the SIM Card, Remove the Back Cover, Lock anad unlock guide, using Samsung Account and Google account, etc. 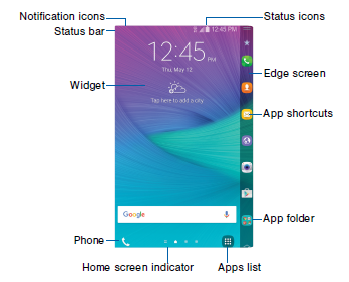 Further about using Home screen on page 10, learn about Status Bar, Customize App Shortcuts, using Touchscreen Navigation on page 17, learn about Notification Panel, Activate Multi Window, using S Pen on page 24, Use Emergency Mode, Set Up Your Voicemail on page 40, using many apps for example Google apps, U.S. Cellular Apps on page 47 (include about Mobile Data Security, mobile hotspot, Tone Room Deluxe), using camera and video, Galaxy Apps, gallery, Scrapbook, Use Google Voice Typing and more. Other important infomtion such as about Customize Quick Settings, Pair Bluetooth Devices, Use Mobile hotspot, using NFC (Near Field Communication), Set a Screen Lock, S Pen Settings, Back up your personal data, Backup and Restore, Reset Network Settings, Factory Data Reset, Set Up Private Mode on page 117, using Finger Scanner, and more.